Mark from Ridgeline Tours is on time, picks up Michael, quick reverse in the van to get Pam lagging behind and we’re off to explore the wineries. Here’s where I’ve just gotta praise the merits of taking a small or private guided tour over the more one-size-fits-all option. 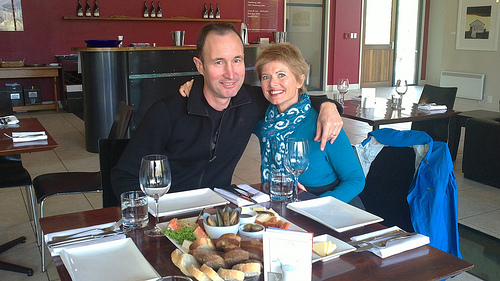 Mark has loved Wanaka since he was aged three – passionate about the history, the best fly-fishing spots, the High Country and boutique vineyards dotted about the region. As we drive through the small town of Luggate, I spot a very cute little pub – don’t blink, you’ll miss it – put it on my list for tomorrow. First stop, the Boutique Archangel Winery. Deeply moving story behind the name, but won’t spoil the surprise. Met ‘Woody’ from ‘Woody’s Woodworks’. 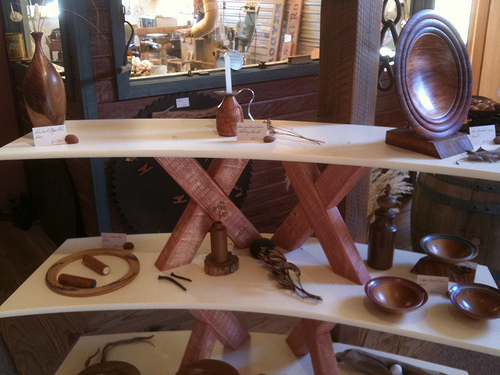 Woody shares a space at the winery for his gallery and woodshop. 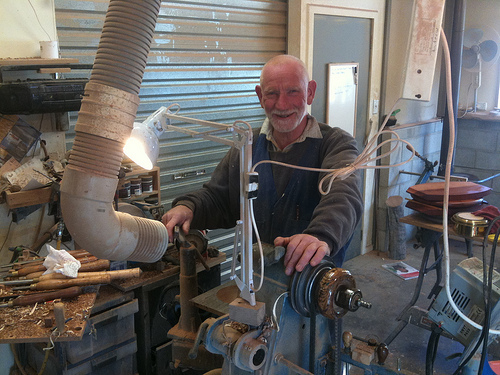 This wily Scotsman has a wicked twinkle in his eye and happy to chat – his woodwork is beautiful and some of it is displayed at Te Papa in Wellington. Woody waves goodbye through the large window of his workshop and we’re off to Carrick Vineyard Restaurant for lunch. What was the highlight, I hear you ask. There were many, but if you twisted my arm to breaking point, I’d have say it was the visit to Northburn Winery which has been purpose built to look centuries old. Kelly took us through the tastings and was such a treasure. 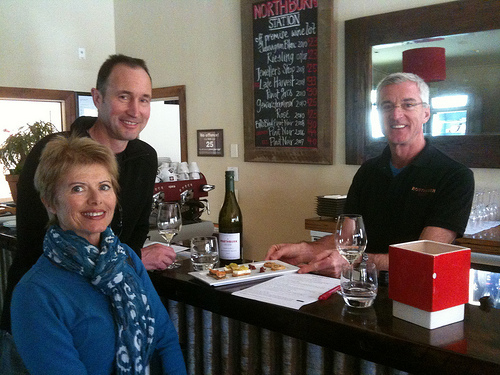 This gentleman delivered his vast knowledge of Northburn wines with polish and panache and he was a lot of fun. 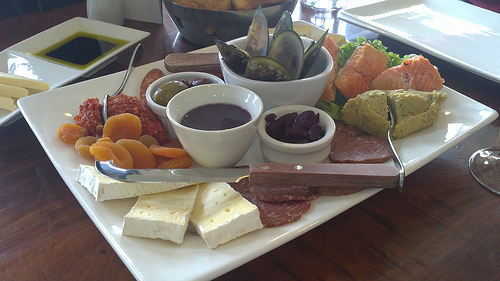 At Northburn, they provide delicious morsels to match each wine you are tasting. We could have stayed much longer here, but had to take a more condensed version of the tour – needed to get back to Wanaka for our appointment at the gorgeous ‘Release Wanaka’ property. 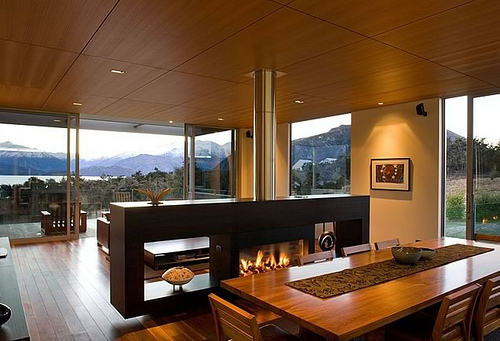 Release Wanaka is a purpose-built contemporary style house with every conceivable luxury. Spaciousness at a premium but at NZ$850 per night per couple, that’s a given. Very suitable for families, but also couples – well anyone really. Guess I’ll let the photo say it all – I’ve run out of puff.